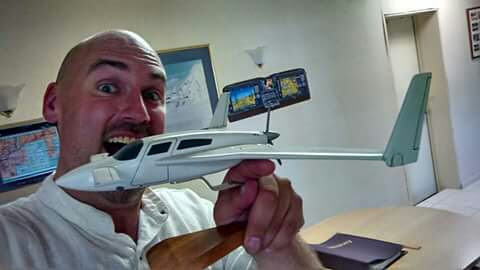 Derek Kesek, founder of Waterloo, Ont.-based Hempearth Group, has a sky-high dream: To build the world’s first airplane constructed of and powered by hemp. Hemp, well known for its strength and durability, is currently used to make textiles, construction materials, paper, biofuels and more. According to hempbasics.com, one acre of hemp can produce as much paper in one year as two to four acres of trees. Kesek, however, is interested in more than just paper airplanes. He’s been quoted as saying he wants to “redesign the skies,” using hemp as a replacement for steel. Hempearth, in partnership with Florida aircraft manufacturer Velocity Inc., has designed a new four-seat plane that will be made from over 75 per cent hemp. Based on Velocity Aircraft’s existing V-Twin design, Kesek’s plan–which has been in development for several years–calls for an aircraft with wings, seats, seat cushions, fuselage, and some interior parts made from or infused with hemp. In addition, he envisions the plane’s two engines powered by a hemp bio-fuel blend. Hemp is the ultimate sustainable material, according to Kesek. “[One of the] most exciting things about building the world’s first hemp plane is that this particular plane will run on hemp biofuel from the cellulose of the hemp plant,” he said in a 2014 YouTube video. “Hemp is sustainable, it’s eco and it’s a green crop. It doesn’t require pesticides, herbicides or fungicides to grow it. It can be grown organically, safe for all of us. Kesek said hemp is 10 times stronger than steel, and has very little effect on our environment. Hemp emits fewer toxins into the atmosphere and it eliminates the use of fossil fuels. It also requires less water and less land to grow than other textile materials, such as cotton. Steel or aluminum requires mining and refining to produce; therefore, he said hemp is the best choice for the environment. Hemp is also a biodegradable product, further reducing its carbon footprint. 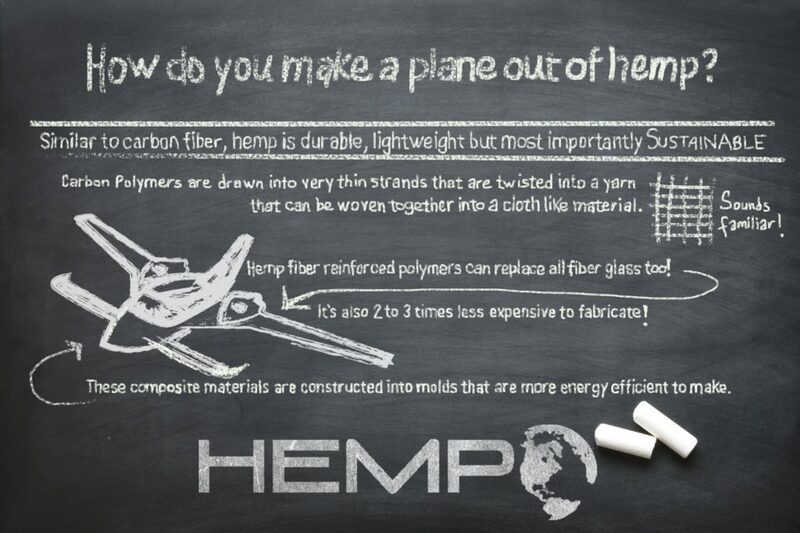 The hemp plane has a wing span of 12 metres (36 feet). Velocity Inc. has estimated the cost of building the prototype at more than US$500,000. On March 7, 2019, Hempearth started a Go Fund Me page with a goal of $125,000. As of April 8, it had raised $1,332 from donors. If the funding target is met, Kesek said the $125,000 will be a down payment to start construction. “There is no timeline for the project; when we have enough funds it gets built,” he told Skies. Once the plane is built, Hempearth said it has been given permission to launch from the Wright Brothers National Memorial in Kitty Hawk, N.C.